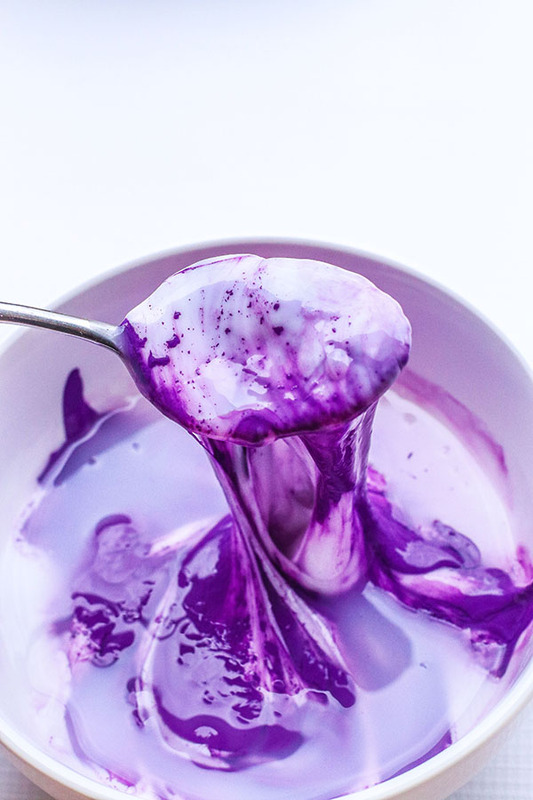 Learn how to make your own homemade slime with this simple slime recipe using saline solution! 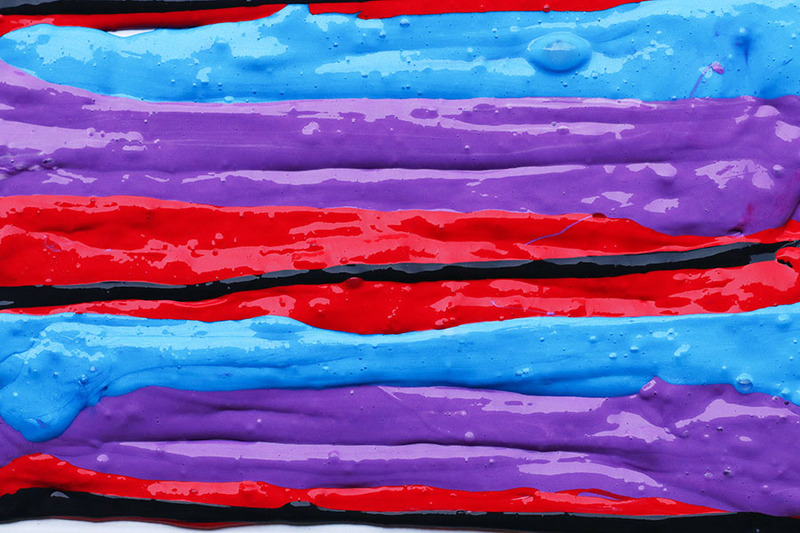 The kids will love playing with this super stretchy slime! 1. Add the 1/2 cup of hot water to a small bowl and then stir in the 1 tsp of baking soda. Stir that until it’s completely dissolved. Then in a separate bowl pour your 1/2 cup of clear or white Elmer’s Glue. Next, add in the water/baking soda mixture to the glue and stir well. 2. 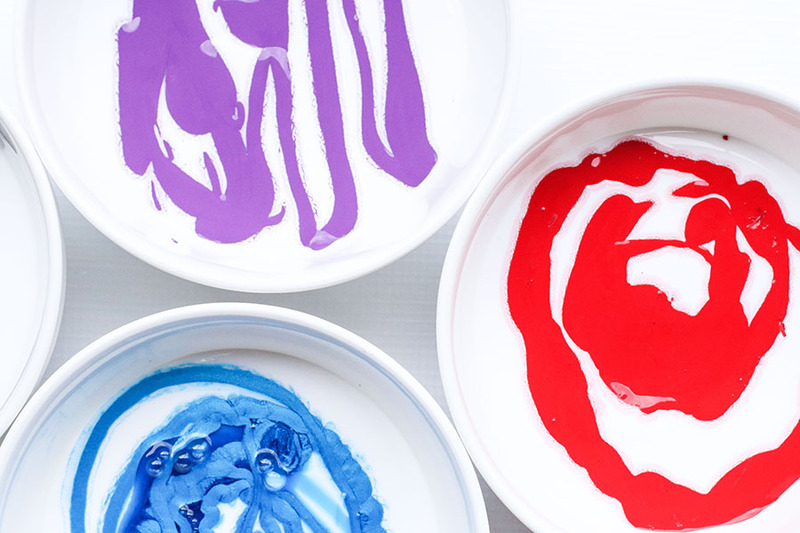 Next, this is the step where you’ll add in your food color, paint, or glitter. You can use either Elmer’s Clear School Glue or Elmer’s White glue but just remember when you add color to white glue, the color will be lighter. 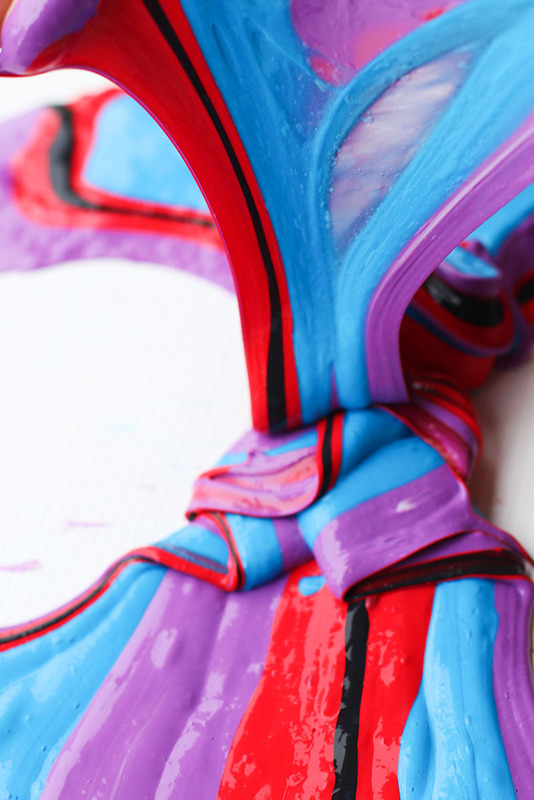 And you’ll use clear glue for jewel toned colors! 3. Then you’ll start stirring in your contact solution, a little at a time until the mixture starts to clump up. Add more solution until it is no longer sticky. . Once it starts completely sticking, then switch to mixing with your hands for a few minutes until you feel the majority of the liquid incorporated into the slime. 4. 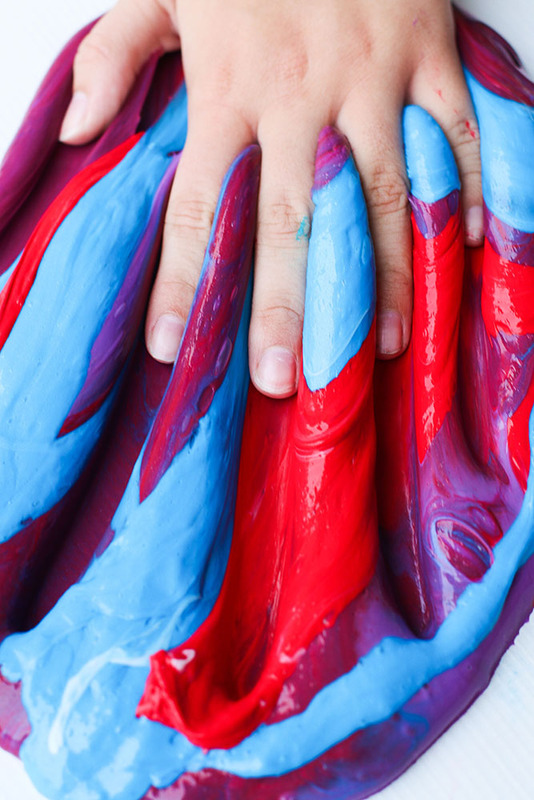 After using your hands for a few minutes the slime won’t be sticky or stringy anymore. Your slime can be played with right away but it’s consistency changes a bit over the next 30 mins to a smoother looking substance as opposed to the stringier slime that you’ll originally see. And don’t worry if the consistency isn’t changing, simply add more contact solution if it is too sticky and add more glue if it is too gloppy. You’ll want to store this in a clean and dry container or a zipper bag. 5. Then repeat these steps with your other colors. And then you can combine them at the end.